Kidnapping, mind control, revolutionaries. It sounds like something out of Hollywood, right? It really happened. 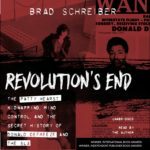 Skyboat Media presents the audiobook version of REVOLUTION’S END: THE PATTY HEARST KIDNAPPING, MIND CONTROL, AND THE SECRET HISTORY OF DONALD DEFREEZE AND THE SLA by Brad Schreiber. Narrated by the author. 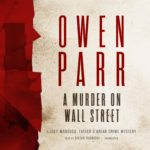 For those fans who can’t get enough of the fantasy Return of the Elves Series, have we got an audiobook treat for you. 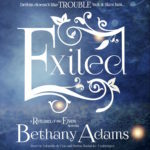 Presenting (drum roll) EXILED: A RETURN OF THE ELVES NOVELLA.